DCU Business School | Part-time courses in Dublin. DCU Business School is Ireland’s most ambitious business school, part of Ireland’s ‘University of Enterprise’, Dublin City University. We are consistently recognised in international rankings of young and globally-engaged universities. The dynamic and vibrant ethoses of these universities of the future imbue all aspects of our activities. Through our teaching, our research and our engagement with industry we proactively contribute to the development of individuals, industry and society at home and abroad. 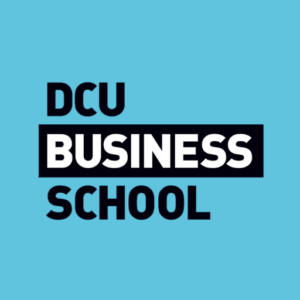 At DCU Business School, we have developed a strong profile characterised by our industry engagement and strong international reach, contributing to the development of discipline-based knowledge through our scholarship. Our engagement is particularly deep in areas such as cloud computing, leadership and talent management, SME enterprises and family business, the health sector, the aviation sector, and big data. Our access to, and influence upon, Irish government policy is notable. Our staff inform and influence public policy in areas such as health, public procurement, emergency management, industrial development, education and entrepreneurship by producing research reports, and contributing to and serving on government committees. This close connection to industry and government ensures relevancy and recency in our research, which is brought into the classroom leading to industry-relevant courses, work-ready graduates, and high rates of career success for our graduates. DCU Business School is part of a truly international community. 34% of our students come from across the world to study with us, and we have links with over 50 academic institutions worldwide. We are also a member of the International Partnership of Business Schools (IPBS), a global consortium of leading business schools. This gives us the opportunity to discuss best practice with other global business schools to ensure we deliver excellence in business and management education. We prepare our students for a successful future, supporting employability by incorporating professional and leadership skills development into each of our programmes. We encourage reflective and critical thinking, collaborating with others, creating and sharing knowledge, and dealing with complexity. Our students join us ambitious for life and leave us ready to take on the world.